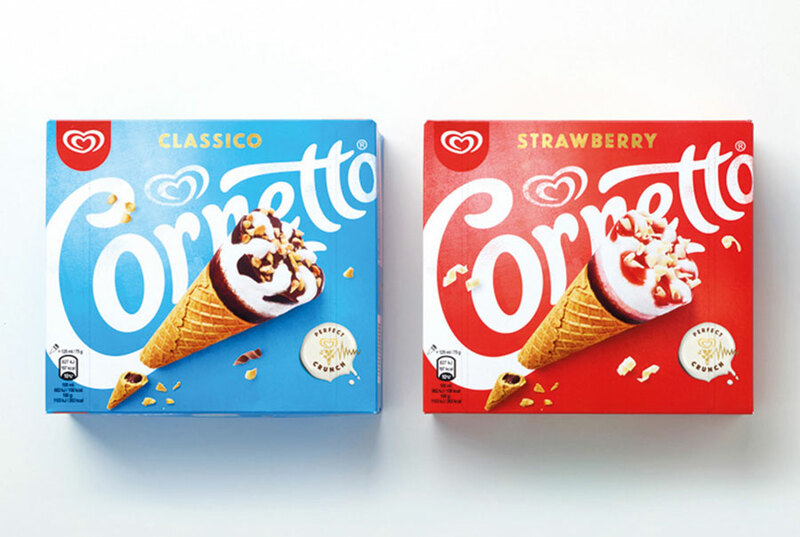 Believe it or not, Cornetto, who are owned by Wall’s turns 60 next year. The Italian ice cream brand has decided to rebrand its look and created a simplified identity with the aim to appear “younger and fresher”. This decision to rebrand comes after the complete rebranded with the help of Carter Wong only 5 years ago in 2013. A rebrand that was also aimed at giving the ice cream a more youthful appeal. Design Bridge has simplified the brands logo with a new colour palette and design. 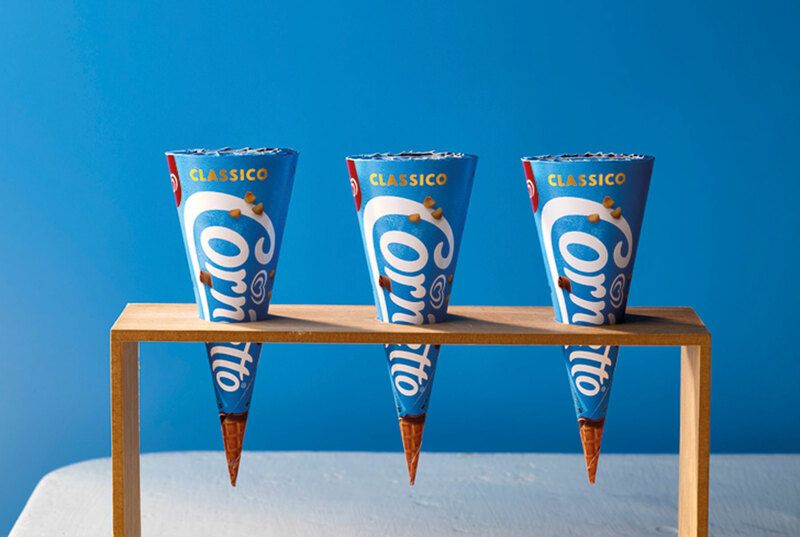 Walls are owned by Unilever, and the name Cornetto translates to ‘little cone’ in Italian. Cornetto, which was first produced in Spica Italy in 1959, conceptualised and created the process of insulting a waffle cone using chocolate, oil and sugar which, unheard of at the time, stops ice cream from leaking through during the manufacturing process. This is why you never get a soggy cone when you have a cornet on a summers day. The new design will be used worldwide and this will help to create unity across the brand through different countries. 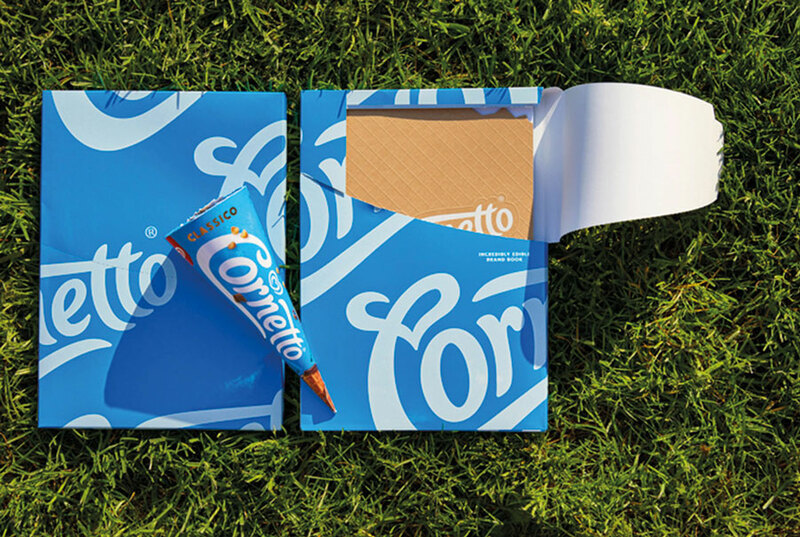 Hopefully this will be the last rebrand that Cornetto see’s in a while and has finally achieved the identity it has been trying to achieve since 2013. We for one will be keeping an eye out to see what happens, if anything, next.